No not that Dorothy… but rather I am referring to Dorothy Bohm. For those of you unfamiliar with Bohm she is a photographer born in 1924 who emigrated to England in 1939. She began her career here in Manchester, graduating from the Manchester College of Technology in 1942 and later opening Studio Alexander, on Market Street. Manchester Art Gallery are holding a retrospective of Bohm’s work, A World Observed 1940-2010, from the 24th of April – 30th of August 2010. In conjunction with the exhibition Jennifer Boyd, Research Assistant at the gallery, will be blogging for Bohm as part of a research project surrounding this prolific photographer. The aim of the blog is to undercover more information and the exact location of Studio Alexander, as well as to find the faces of Manchester snapped by Dorothy in that very place. From more information and to help with Jennifer’s search visit the Family Portrait Gallery and see if you can recoginise a relative or friend of your family. c/o DianthusMoon licensed under Creative Commons. Just as an aside, the “Dorothy” of the original theatrical “Friend of Dorothy” code-phrase is actually Dorothy Parker. 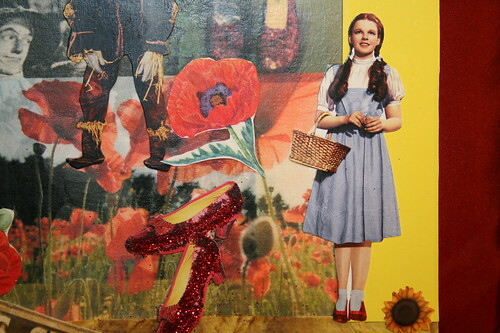 In recent years people have assumed it refers to the Dorothy character from the Wizard of Oz, probably because Judy Garland is a now gay icon, and Dorothy is no longer a particularly common name.